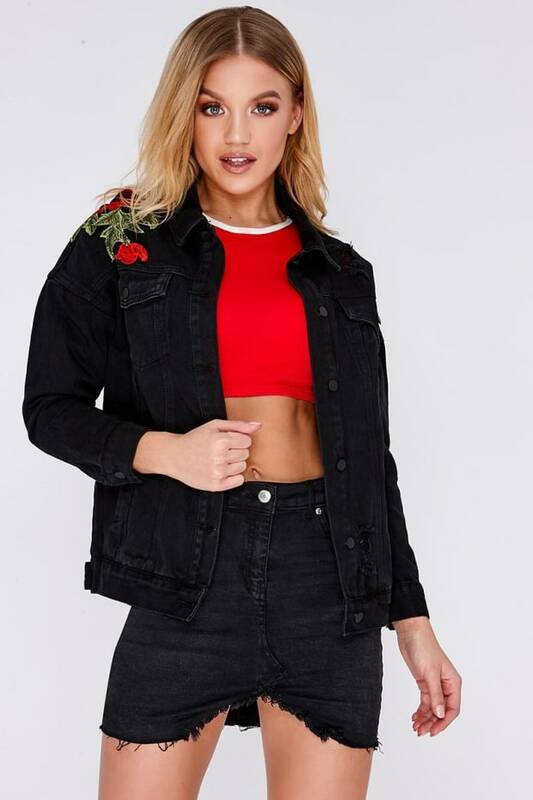 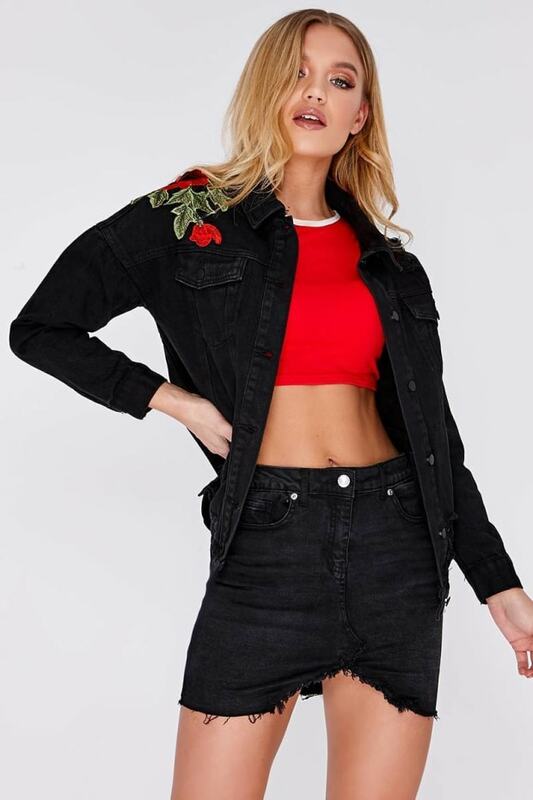 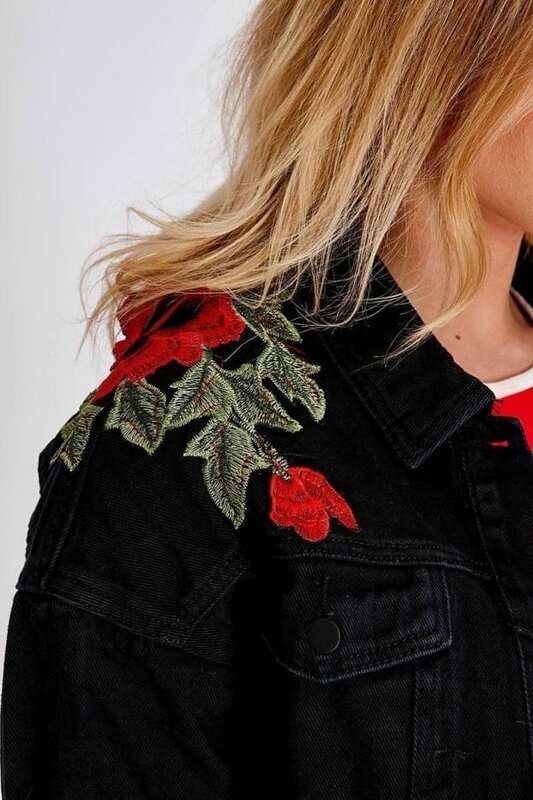 With denim being this seasons must have, turn your casual vibes with this statement floral denim jacket. 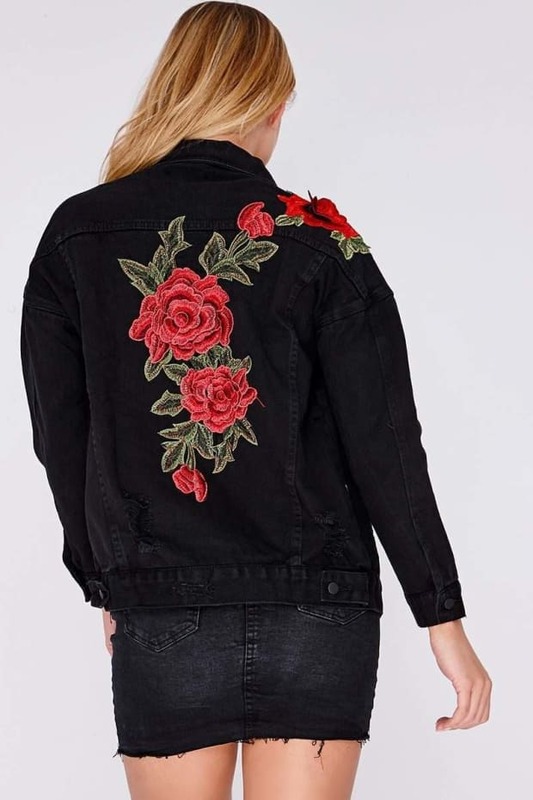 Featuring rose applique and distressed detail, this will give you serious envy-worthy casual vibes! 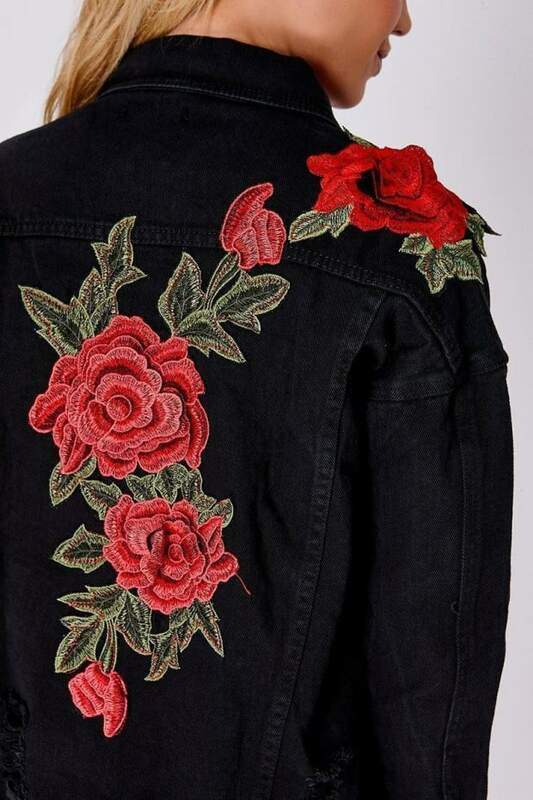 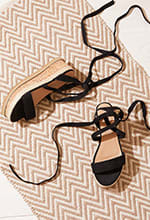 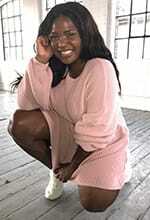 Wear with a denim skirt and boots to finish the look.